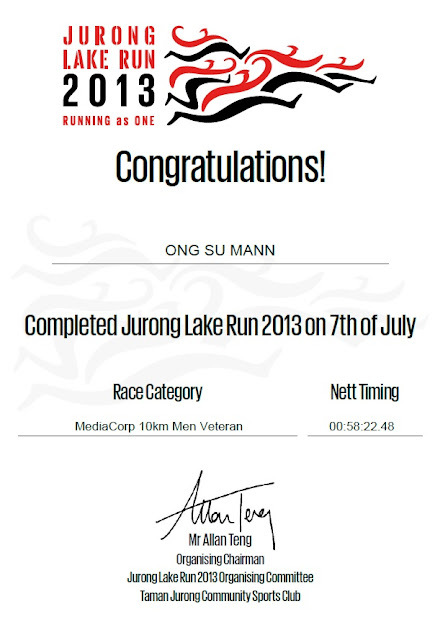 So I finished the 10km Jurong Lake Run in just under an hour (58 minutes 22.48 seconds to be exact) yesterday morning. This was how I looked before and after the run. Before the run, I was waiting for the flag-off near the starting line at the side when I was caught off-guard by Deputy Prime Minister and Minister for Finance Tharman Shanmugaratnam who came from behind me to shake my hand on his way to the stage to do the flag-off. But then he held my hand and sort of stared at me for a few uncomfortably long seconds. I was actually afraid he might have recognised me as the guy who badmouthed him in my New Paper column a year ago. Then I figured he must have asked me a question and I couldn't hear him because I had my earphones on. He was waiting for my reply which never came. Who asked him to sneak up on me like that? He eventually moved on and went to shake someone else's hand. So I managed to diss the deputy prime minister at the Jurong Lake Run for two years in a row. 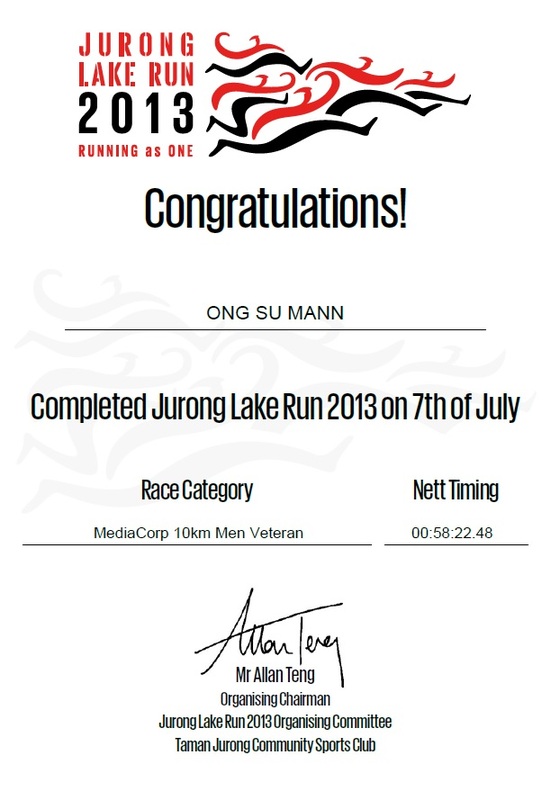 Can't wait for next year's Jurong Lake Run. The Safra Half Marathon on Sept 1 is next.